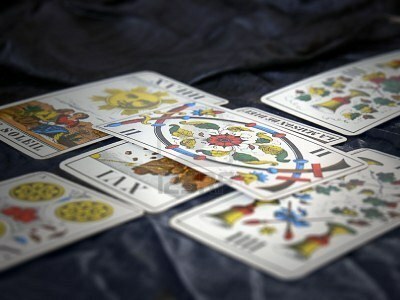 If you’re researching tarot card readings, chances are part of you wonders if tarot cards are real. The answer could simply be “Of course they are!” but you probably want something a little more convincing than just a yes. It’s very confusing, the thought that randomly drawn cards could actually predict the future or explain things about our past we thought were hidden in the depths of our minds, but the fact remains, a good 90% of the time, the cards are going to be dead on. No one really knows for sure. That doesn’t help those who need strictly logical explanations to convince them that something is real, but it is just the way it is. Like many things, there are theories that could possibly explain how tarot cards work. For example, it could be said that people maintain a level of psychic ability that can be channeled through divination methods such as tarot card reading. Take into consideration that something of this nature is only going to work if you actually believe in it, as many would say there is a certain level of manifestation that must occur. Manifestation is when you bring something into being by wanting it or believing in it, much like a self-fulfilling prophecy. It can be said that there have been people who did not believe in tarot card readings and their truthfulness until they received an accurate reading. The positive results could have still been achieved through manifestation if a part of their mind was open to the concept of psychic ability and divination, even if the belief didn’t necessarily involve tarot cards. 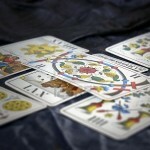 How long will it take for the tarot card readings to come true? If you believe that tarot card readings are real, you probably want to know how long it will take for the events the cards predicted to occur. When you have a tarot card reading or do one yourself, the cards are telling you what is the right direction to take at the moment, or perhaps the events that will occur due to your current behaviors. This could change the very next day, depending on the path you take. If you get a response from the cards that say a specific event is going to occur, look at how that event works into your current life. If it is something you do not want to have happen, think about what action you can take to keep it from occurring. Remember, if you believe that you alone are in control of your own destiny then that means exactly that: you hold the key to your future, the cards are just helping you to see what that future holds. On the other hand, if you believe that a higher power is in control of your destiny and the details the cards have brought to your attention, then you are able to be prepared for what life has in store for you. Tarot card readings are absolutely real, but they will only work for you if your mind is open to new possibilities of knowing what your future holds for you.